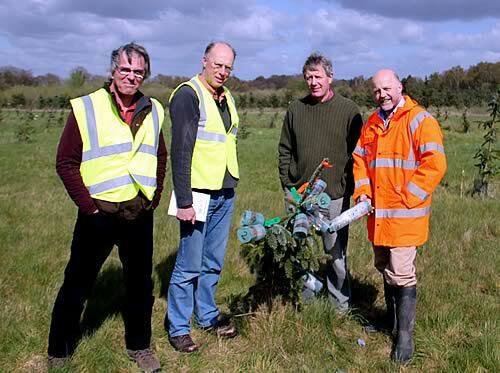 A new organisation has been set up to ensure that there is an adequate supply of improved vegetatively propagated Sitka Spruce for growers and take forward the breeding programme for Sitka Spruce. The Sitka Spruce Breeding Co-operative is a new limited company that has been formed as a not-for-profit co-operative. The founder members of the new Sitka Co-op are those that have been heavily involved in the production of full sibling Sitka spruce including The Forestry Commission and Forest Research together with representatives from the private sector namely Maelor Forest Nurseries and UPM Tilhill. Membership is open to all UK based-forest owners, saw mills, nurseries and forestry companies and anyone who has an interest in quality Sitka Spruce is welcome to join. Full details of the benefits and membership levels can be found on the website. The co-op will also underpin the improved Sitka brand and will shortly be announcing the revised gain statistics for improved Sitka material following a third party review of all the data. It will also be issuing a ‘kite-mark’ labelling system so that purchasers of seed can be sure their planting stock will show no significant deviation from the orchard’s predicted gain figures. Duplicating the Forest Research clone banks on to multiple sites to create a secure resource of the plus tree material. Gathering pollen from the best parent material in forest research seed orchards and to carry out controlled pollination to create a bank of Full Sibling Seed for the best families. Assess the acoustic values of the main full sibling families so that another trait can be included in the gain tables. The Sitka Spruce Breeding Co-operative welcomes any enquiries for membership and or further information. Should we be Considering a Real Market for Horse Meat?